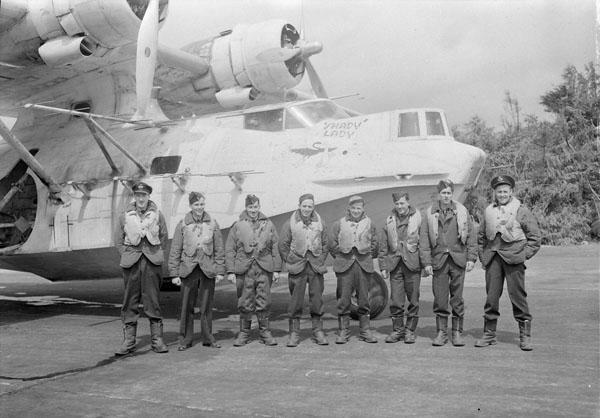 Unidentified aircrew with Consolidated Canso A aircraft 9752, “Shady Lady,” of No. 4 (BR) Squadron, RCAF. Ucluelet, British Columbia, May 21st 1944.